Help Center3. 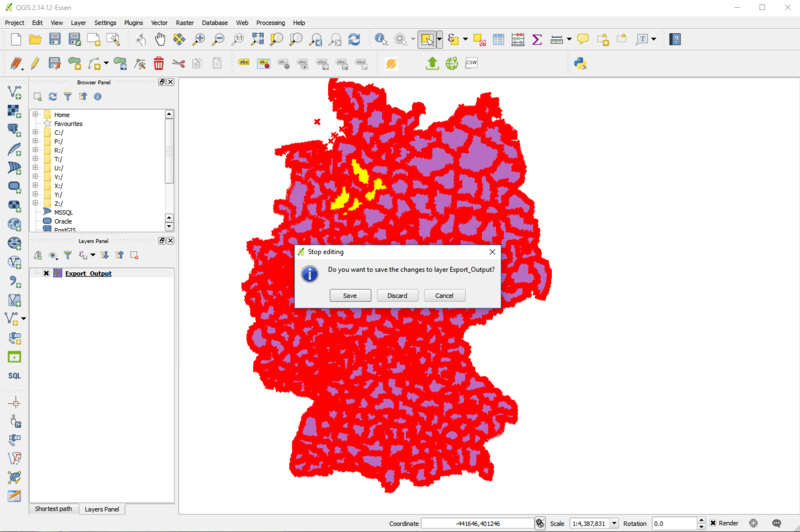 Integrations3.2 QGISHow to edit multiple features in QGIS? 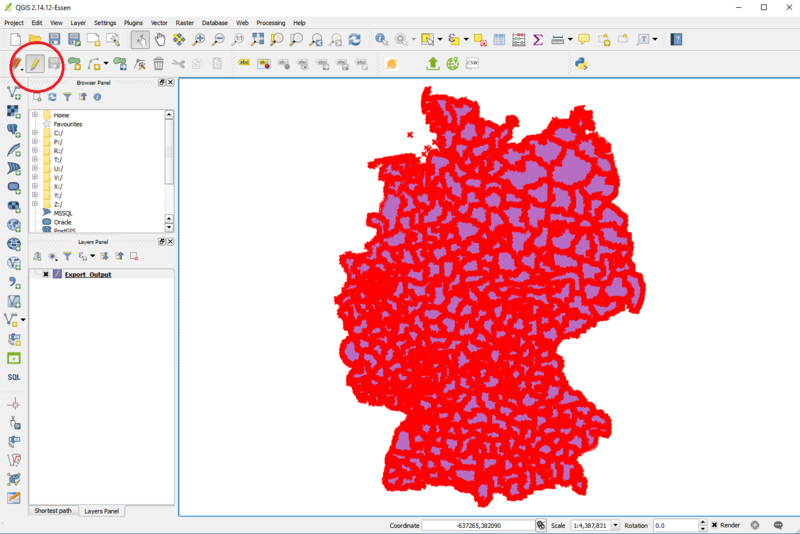 How to edit multiple features in QGIS? First of all we need to turn on the “Edit” function in QGIS by pressing the pencil icon in the menu. The sample below shows regions in Germany. After you turn on the edit function all features will turn red. Now you are able to select multiple objects (in our case regions) by holding down the CRTL button and select the objects you want to edit. 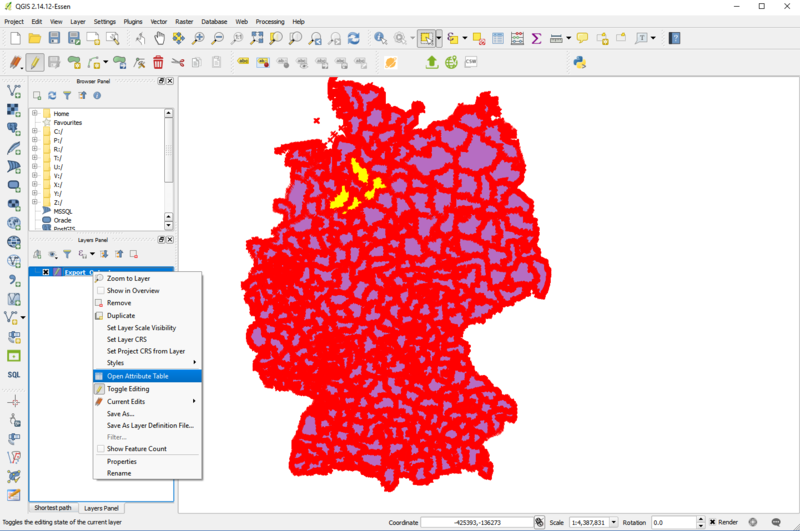 In our sample we selected 4 regions. 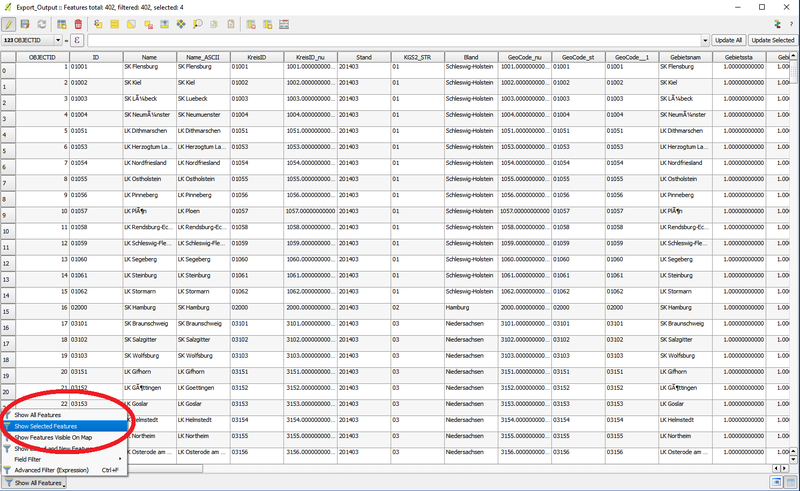 The selected objects are now shown. You can edit any field you want. 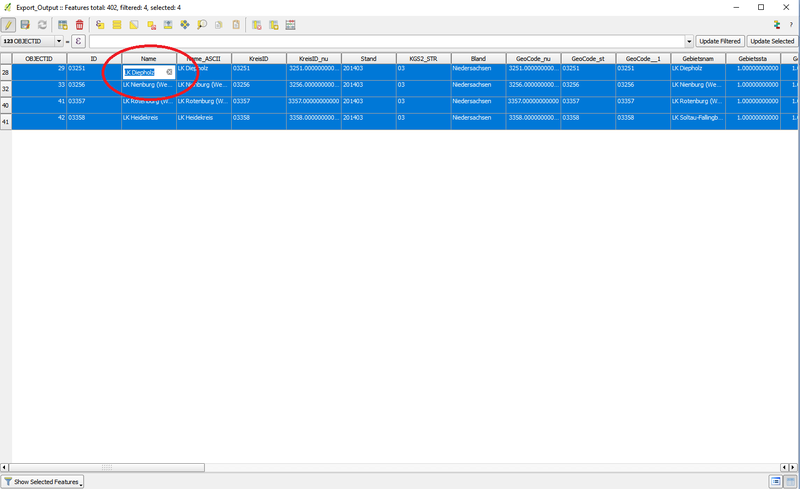 Once you are done editing you can close the “Attribute Table”. Now one IMPORTANT step. You save your edits by pressing the “Pencil Icon” again. 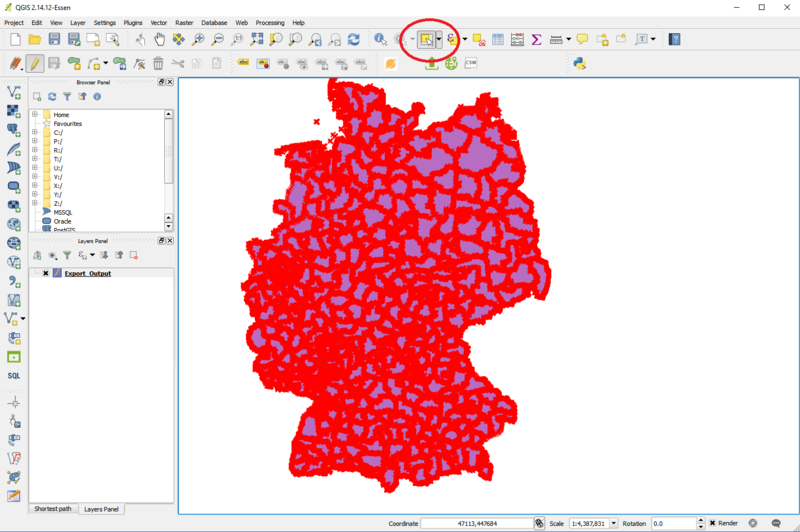 Now all your changes we will be saved in your Spotzi Mapbuilder account.